The Mysterious “Howard Gnesen” of Howard-Gnesen Road. Perhaps there should be no surprise that some people might think Howard Gnesen was a man—the hyphen between Howard and Gnesen having been mostly done away with by the shorthand of time. Unlike Jean Duluth Road—which was named for a farm, which was named for an historical error—Howard Gnesen was not named for a person at all. Rather, it is the combination of two road names. Through most of Duluth’s history, this county road north out of Kenwood was known as the Howard and Gnesen Road, though in conversation and print it was often shortened to Howard-Gnesen or left without the hyphen just as it is now. The Howard Road, which is rarely mentioned in the historical record without the Gnesen appendage, is the second road in Duluth that was named for J. D. Howard, whose timber holdings in early rural Duluth made pretty much everything up that-a-way Howard’s land. Old Howard Mill Road went to one of Howard’s lumber mills, and the Howard Road went to Howard’s properties as well. The Gnesen Road was the road to Gnesen, a village and township founded by Polish immigrants who settled there in the late 1860s and 1870s. 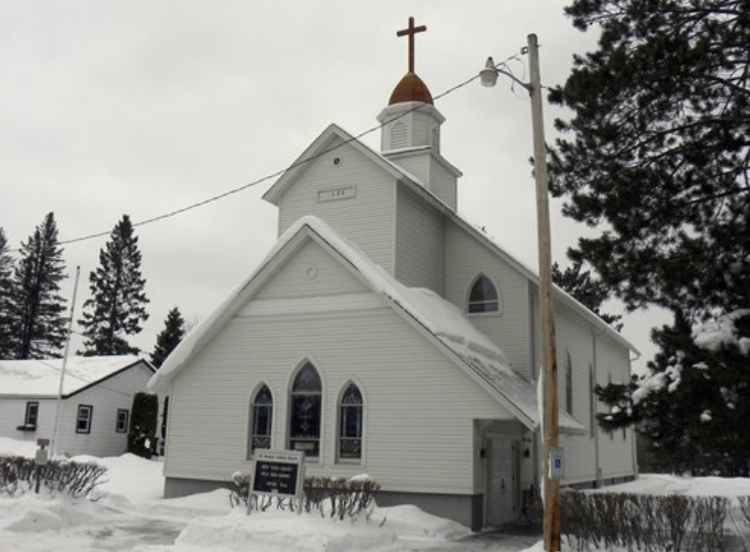 The town was centered on St. Joseph’s Catholic Church, a town hall and one-room schoolhouse located 12 miles north of Duluth. The name itself comes from a city in the Prussian province of Posen, now part of Poland, called Gniezno. It is often assumed that all the settlers who named the village came from Gnesen/Gniezno as a single group, but this is not true. Instead, we can understand them as an ethnic group collectively fleeing the oppressive conditions of Prussian-controlled Poland in the mid-1800s following a failed revolution in 1848. At that time, Polish farmers in Prussia had had their land confiscated by the Germans and could not worship or be educated in their own language. Even Polish clergy was replaced by Germans. According to Martin Lepak, one of the Polish settlers who founded Gnesen Township, the Poles were allowed to build barns but not permanent homes, and therefore had to live in mobile dwellings built on wheels. 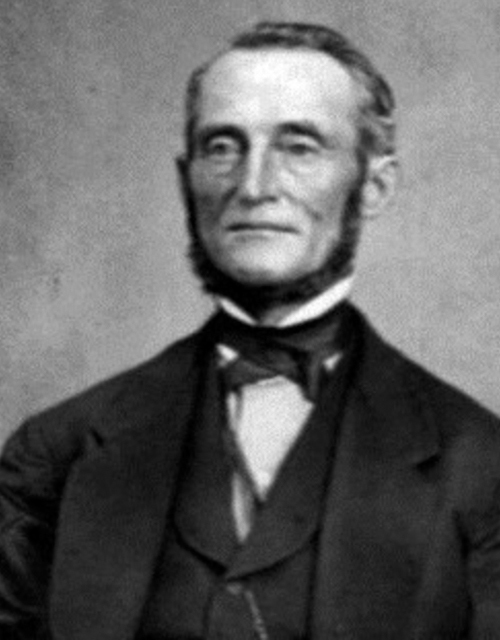 Many of the township’s settlers came to the Head of the Lakes via Canada and Chicago, presumably to work on railroad development around 1870. There essentially were two groups of Polish settlers: those who settled in Duluth and those who cleared and homesteaded the land around Gnesen. Some had homes in both places, probably preferring not to spend winter out in the isolated hinterlands. Poles who settled in Duluth’s Hillside joined with the Irish and German Catholics to form Sacred Heart parish, the first Catholic Church in Duluth, founded in 1870 by Slovenian missionary Father John Chebul. At Calvary today, non-Catholic visitors might become aware of a puzzling separation between the Poles and the rest of the Catholics, for adjacent to Calvary Cemetery is a separate Polish Catholic Cemetery. It is not, as many assume, merely a section of Calvary, but rather its own independent entity, and until Vatican II, no Roman Catholic priest was allowed to perform graveside rites within it. This schism led to a lock-out, some rock-and-egg throwing, and a court dispute for possession of church materials. That summer the separatist congregation’s temporary home was struck by lightning, which “shattered [the steeple] badly around the foundation of the cross.” Smug loyalists, including St. Mary’s parish priest, called it a sign of God’s displeasure. In the shakeout afterwards, the Polish Catholic Cemetery on Howard Gnesen Road was owned and administered by the separatist parish. Meanwhile, Duluth newspapers were always fond of reporting on the criminality or other shenanigans of newer immigrants, and gossip from Gnesen was no exception. The Gnesen school board was plagued with insular factionalism and financial malfeasance, which once led to what was called a riot by the Duluth News Tribune. Disputes between farmers sometimes led to shootings of neighbors or family members. When one farmer lost several of his cows to an unidentified poison, he blamed an unspecified enemy neighbor first, rather than a toxic plant in his fields. Every now and again “highwaymen” would be reported on the Howard and Gnesen Road. In 1908, Gnesen residents complained to county authorities of being terrorized by a “wild man” roaming about who may or may not have been dressed in woman’s clothes, a mask, and carrying a rifle. A man (whose family name graces a Gnesen Township lake) reported his brother to the authorities as the offender, complaining that he’d killed 45 of his brother’s chickens “for fun” and shot at his wife. However, when the sheriff investigated, the accused brother was found working on his farm like normal. Another “insane man” was arrested, but no women’s clothes or mask were ever found. As automobiles became more commonplace, the newly-resurfaced Howard and Gnesen Road was frequently praised as a good day trip, one of the first in springtime to be dry enough to be drivable. This also led to many complaints by rural farmers about speeding roadsters startling cart horses and cattle. (The speed limit then was 25 miles per hour, but daredevils frequently drove faster.) During Prohibition, this fine thoroughfare became a bootlegger’s highway, and Gnesen (like most surrounding rural areas) was a hotbed of smuggling, blind pigs, and shacks hiding moonshine distilleries. Several factors led to the decline of Gnesen as a town center. First, many families gave up the difficult life of farming and moved to Duluth. Second, forest fires in 1918 and 1922 burned large swaths of the township. The 1918 fire alone may have led to the deaths of at least 22 children left behind by working parents, and the 1922 fire burned down the schoolhouse. Today, there is only Gnesen Township, population 1,693, with its town hall and St. Joseph’s Catholic Church and Cemetery.